This scenic byway grant-funded public art piece by Michael Goodall is located in Winterset, Madison County, along the Covered Bridges Scenic Byway (on the corner of Washington Street and 1st Avenue). 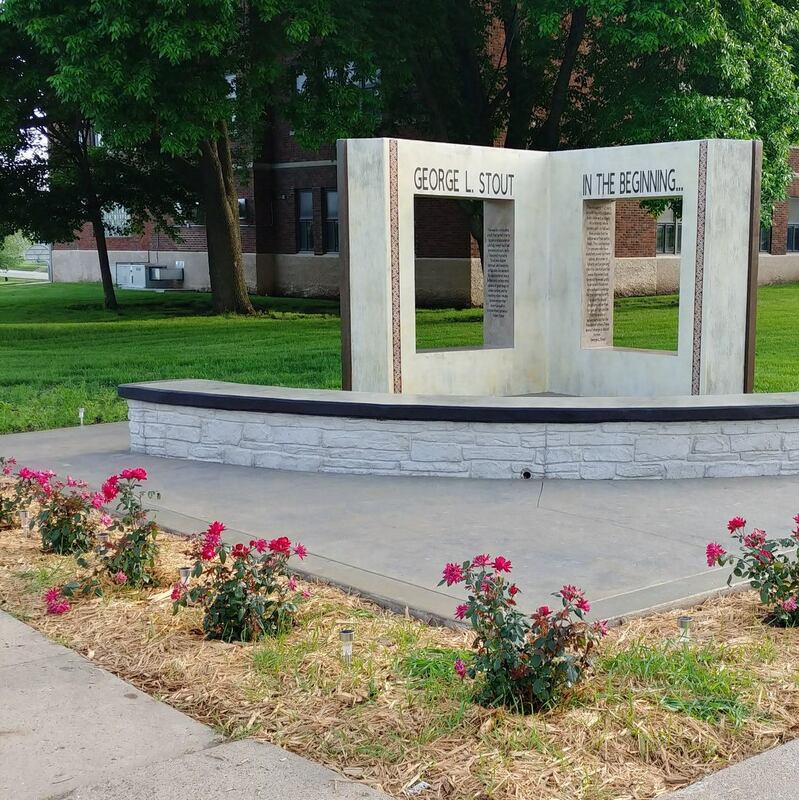 George Leslie Stout was born in Winterset in 1897, and resided here through high school. Stout was an American art conservation specialist and museum director who founded the first laboratory in the United States to study art conservation, as well as the first journal on the subject of art conservation. A Navy reservist for some time, Stout was placed on active duty in 1943, and soon after joined the Twelfth Army Group. Because of his art conservation background, he was one of the first recruited to the Monuments, Fine Arts, and Archives section (MFAA). The group was charged with the protection of and documentation of damages to European cultural monuments during World War II, as well as the investigation, location, recovery, and repatriation of art that had been plundered by the Nazis. The main subject of a book and movie called “The Monuments Men”, Stout was portrayed by George Clooney in the film (though his name was changed). 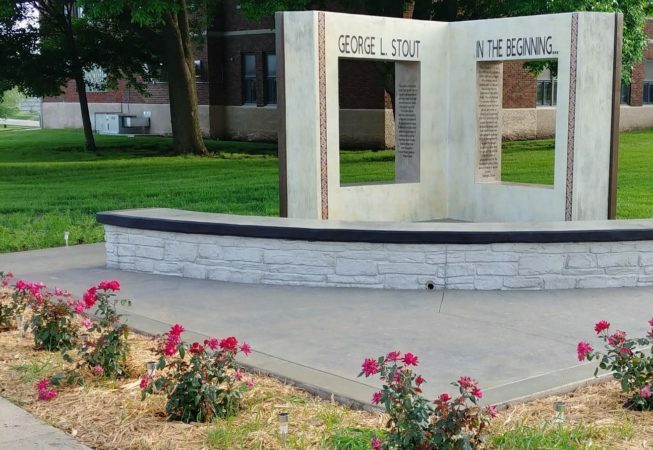 Located on the corner of Washington Street and 1st Avenue in Winterset, the George Stout Story Book sculpture pays tribute to Winterset native George Stout. Stout was featured in the 2014 movie “Monuments Men” for his role in protecting some of mankind’s most important artistic achievements during World War II.